Have you been researching your visit to Prague and are thinking of booking a tour? Overwhelmed by the hundreds of options out there? Well, we’re here to help you pick from among the very best and most essential tours in Prague! Whether you’re visiting Prague for a weekend or if you’re in town for a month, there are nearly an endless array of things to see and do in the City of 100 Spires during your time here. With so much history and culture to learn about and experience, (and with so much delicious beer to drink) you’ll never get bored if you’re doing it right! But how will you possibly cover everything? The obvious option would be to go on some Prague tours, and experience the city with the help of knowledgeable locals. Personally we have tended to stay away from group tours when we travel. It was always our preference to learn about a new city or country slowly, and on our own. However, not many travelers have the time and the luxury to go super slow, which is where the right tour or two can come in very handy. But of course, as with every European city, there are so many tours in Prague being advertised that it’s hard to know which ones are worth taking and which ones are just tourist traps. To help you out, we’ve picked a few recommendations for the best tours in Prague you can find. Prague has been our home base for almost 3 years now, and we consider ourselves pretty well versed in the city. 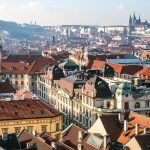 We’ve written many thousands of words helping people explore the city we have fallen in love with, and in this article we want to help you guys choose the very best tour in Prague to help you experience a part of the city you are most interested in. Before we begin the following articles might also be of some help to you all! A list of essential places to visit and sights to see in Prague! One of the main tourist attractions in the city, Prague Castle is something every visitor should check out. With that said, it’s also one of the most crowded areas of the city. It can be quite overwhelming to take in everything that is the Prague Castle on your own – which is why it’s useful to have a guide to show you around. 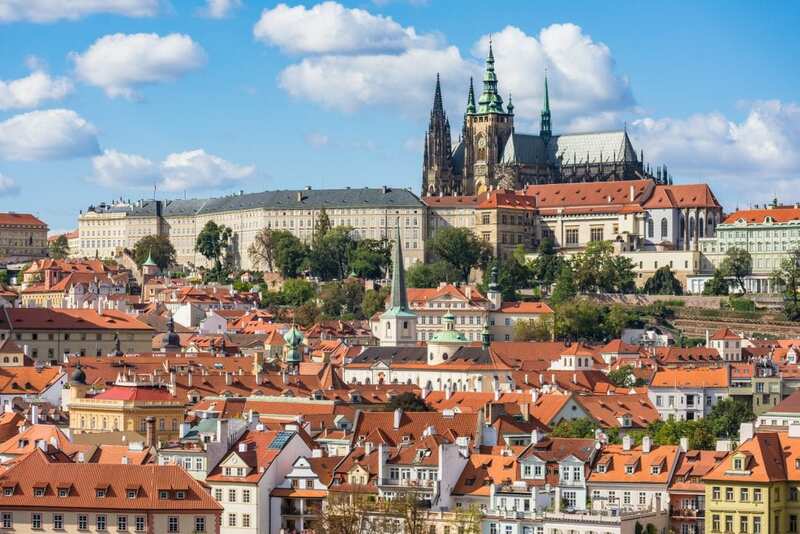 With this Prague Castle Tour, you’ll get an individualized small group experience with a local guide and access to the hidden gems of the castle that the average tourist doesn’t even know about. During this 3-hour walking tour of Prague, you’ll get to see St. Vitus Cathedral in all its Gothic glory (plus the tombs of St. Wenceslas, Charles IV, and St. John of Nepomuk), the Old Royal Palace, the Basilica of St. George, and the Golden Lane. With each site you visit during the tour, your expert guide will regale you with stories of times past – like the Defenestration of Prague and who used to live in the cottages along the Golden Lane. With admission to this tour, you’ll get a Prague public transport ticket, admission into the castle, commentary from your English-speaking guide, and the ability to skip the line – which is especially useful if you’re coming during the summer months! 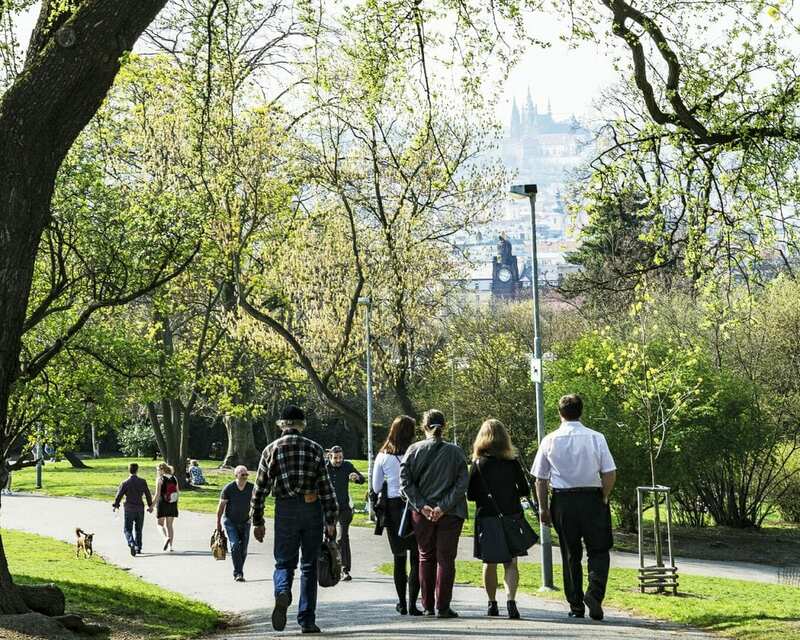 If you’re looking for a unique and in-depth Prague Castle experience, this is the best walking tour in Prague for you. 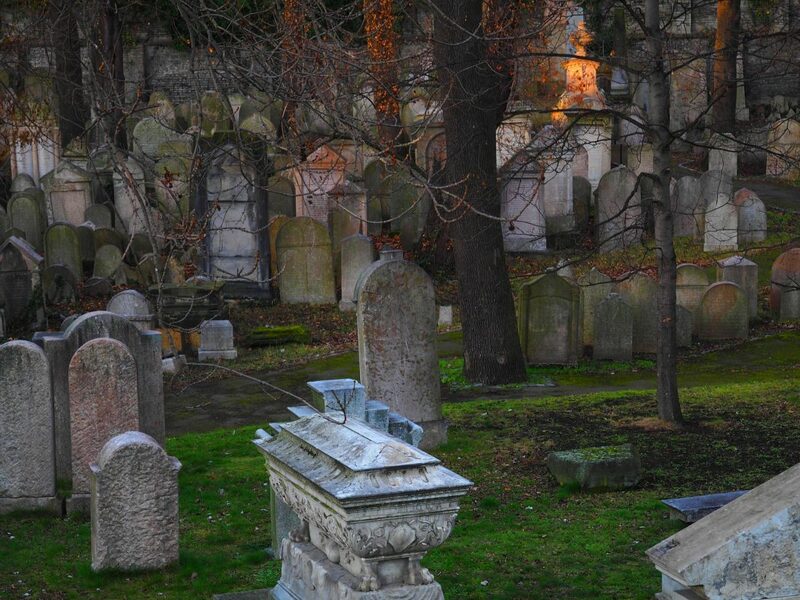 For those of you who like a little ghost story magic in your lives, we’ve got the perfect Prague tour for you. This 90-minute walking tour will take you through Prague’s beautiful yet mysterious Old Town district under the cover of darkness while your guide recounts numerous myths and legends of the city. You’ll learn everything from the legend behind the skeleton on the Astronomical Clock in Old Town Square to the reasons behind the drowning of a dishonest shopkeeper in the olden days. Who knows – you may even come face to face with some headless hauntings and a bloody headsman’s sword! If you’re someone looking for a bit of chill in your bones during your trip, check out this alternative walking tour of Prague. If you’re looking to see a completely different side of the vibrant city, get underground by booking this Prague tour and experience the medieval network of tunnels and dungeons that exist underneath Prague’s Old Town. This 1-hour walking tour of Prague’s underbelly will take you back in time and show you the hidden rooms, secret cellars, and winding tunnels that were in regular use back in the 12th century. Imagine how the inhabitants of this underground city must have lived and visit the the dungeon to see the torture and execution exhibits. With admission into this tour, you’ll get expert commentary from your guide in English as well as the entrance fee to the underground system. 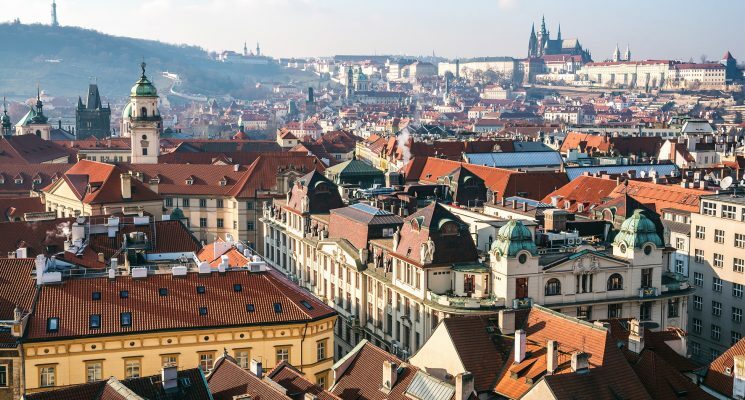 For all the war history buffs out there, this tour will quench your thirst for knowledge about how the residents of Prague lived under Nazi rule during World War II. This 2-hour Prague tour will take you all over – and even under – the Old Town district. You can see the streets and monuments that commemorate the most significant events that occurred here in Prague during the war, and you’ll even get to compare these areas to archive photos your guide will bring along to show you. Your guide will take you through the the Old Jewish District and show you the last hideout of the Prague resistance in the underground tunnels beneath Old Town. Be prepared to visit the sites that represent the darkest days of Prague under Hitler’s rule, learn the story of the assassination of Reinhard Heydrich – the Nazi “Butcher of Prague” – and feel the power of Nazi propaganda during the occupation. With admission into this tour, you’ll get expert commentary from your guide in English as well as the entrance fee into the secret headquarters. If you’re familiar at all with Czech culture, you know that Prague is famous for its beer! Sure, you can drink the beer all day – but with this Prague Beer Museum Tour you’ll get to learn about brewing history and technique, as well as the opportunity to bottle your own beer. This self-guided tour, with booklets in the language of your choice included, will walk you through history, from the “Golden Age” of Czech beer brewing all the way up to the present day. Get an overview of world beer history before diving right into the behind-the-scenes aspects of Czech beer with brewery and malthouse models. 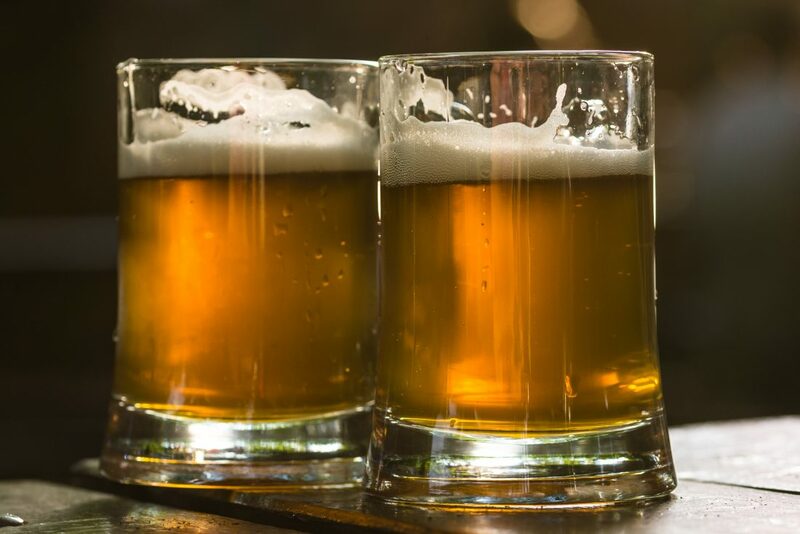 During the tour you’ll learn how beer was stored before refrigeration was invented and you’ll get to visit 13th-century cellars. Then, you’ll taste 4 different Czech beers in 2 showroom pubs before heading to the bottling room to bottle your own Czech beer using the brewery’s equipment. Before you leave, you’ll create your own label and you’re good to go with your unique souvenir! The admission into this tour includes admission to the museum, the 4 samples, and your own personal bottle of beer. You won’t want to miss this Prague tour! This 3-hour walking tour of Prague is for those of you who are looking to fit a lot into a little bit of time. 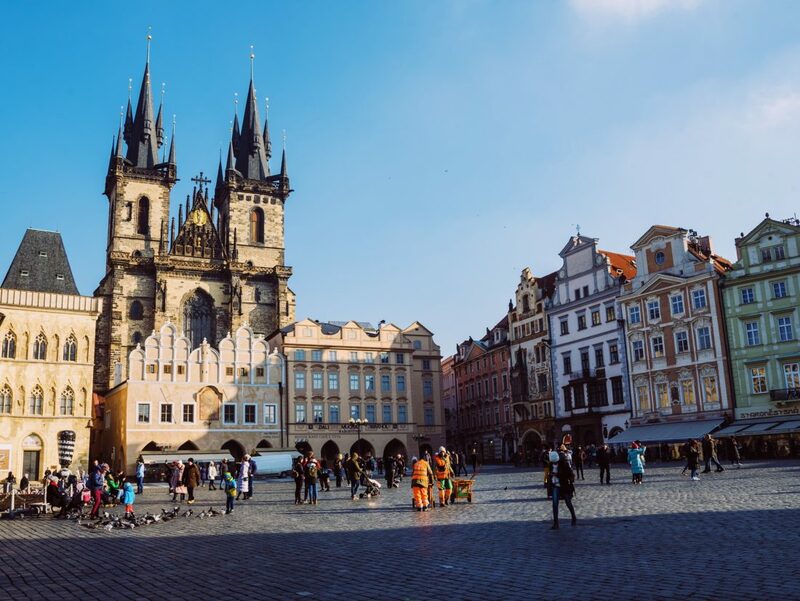 When you start in Old Town Square right beneath the Astronomical Clock, you’ll get an overview of the history of Prague’s Old Town and New Town districts. Then you’re in for an experience you’ll never forget: head up to the top of the Astronomical Clock tower for a stunning panoramic view of the city while your expert guide tells you about the monuments you’re looking at. Don’t forget your camera for this one! After enjoying the view, your guide will walk you through Old Town and New Town, where you’ll see historic landmarks and monuments, as well as the old living spaces of important figures such as Mozart, Einstein, and Charles IV, all the while getting insight into Prague’s history from the 9th to the 20th century. With admission to this tour, you’ll get 3 hours of expert commentary from your guide plus entry into the Astronomical Clock. 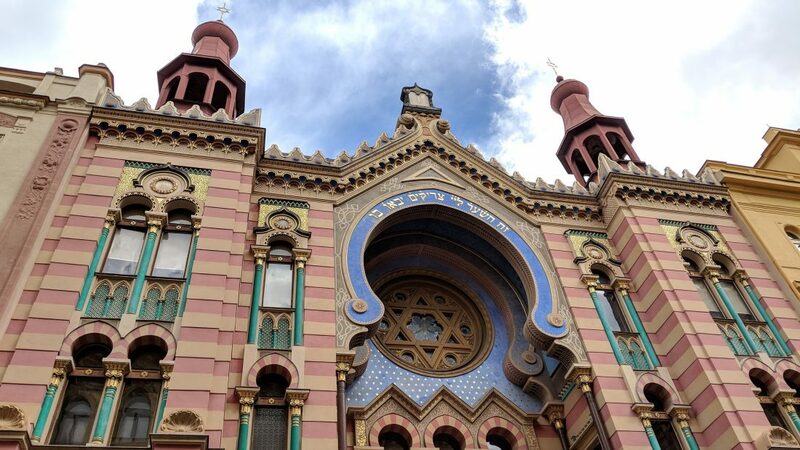 This 90-minute walking tour of Prague is for those looking to scratch the surface of the city’s history with a focus on the Jewish community. You’ll visit landmarks like the Astronomical Clock in Old Town Square, the Powder Tower, the Municipal House, and the Church of St. Nicholas before venturing into the Jewish Ghetto. Here, you’ll learn about Jewish traditions and history, Franz Kafka’s life and work, and hear the story of Golem, Rabbi Loew’s legendary monster. You’ll also get to see significant pieces of Jewish history like the oldest synagogue in Europe, the Old Jewish Cemetery, and the Jewish Town Hall. Just a note: entry into the Jewish Quarter is NOT included in the admission to this tour. Your expert guide will give you a taste of what life was really like for the Jewish community throughout the turbulent history of the city. If you’re intrigued by what you learn on this tour, then you might want to check out the next tour on this list, as well! For those of you curious to learn even more about Jewish history in Prague, this tour will satisfy that craving for extra knowledge. This 2.5-hour Prague tour starts outside the Rudolfinum before walking you to Josefov, the Jewish Quarter of Prague. Admission to this tour includes entry fees into the synagogues and Jewish Cemetery, so once you’re on the tour you can relax and let your guide take care of everything else – so you’re free to soak in all the knowledge you can! 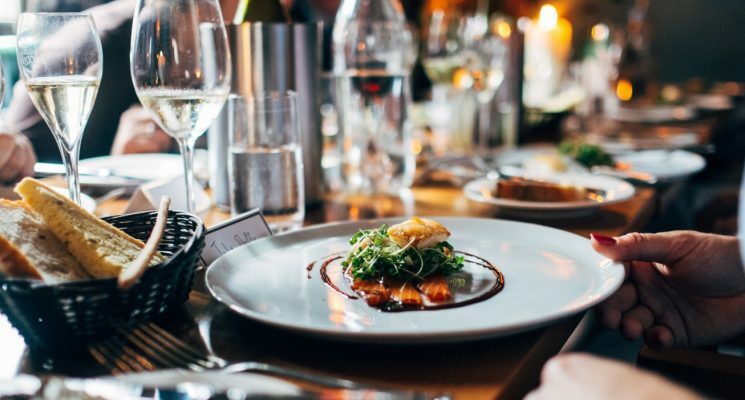 If you’re looking for a truly unique and personalized experience that’s been designed just for you and your travel group, this tour is for you! This 2.5-hour walking tour of Prague puts you in control of everything – who goes on the tour, what parts of Prague you’ll visit, and more. 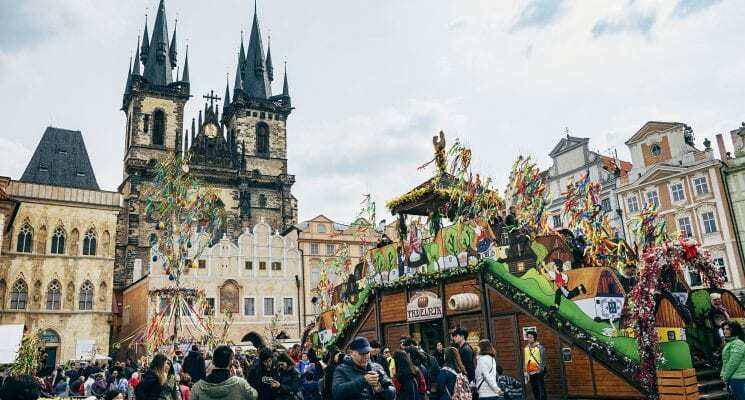 Visit only the areas you’re interested in and your guide will regale you with stories of what you’re seeing all while helping you avoid tourist traps and showing you the hidden gems of Prague that you might have otherwise overlooked. The guides of this tour are the best of the best, and they’re experts in Prague’s history and culture. This customized tour will help you make the most out of your trip by putting you in the driver’s seat for a truly unforgettable tour experience. If you’re in town for more than just a few days, you might want to get outside the city for a bit! 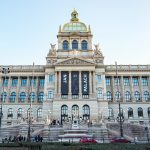 There are plenty of day trip options from Prague to choose from, but planning them can be difficult if you don’t know what to look for or how to book them yourself. Luckily, there are some great tours you can take if planning a trip on your own isn’t something you are keen to do. For those of you who don’t know, Terezín was the largest concentration camp in the Czech Republic during World War II. While it is not as well-known as places like Auschwitz, thousands of Jews met their deaths here and it still had a significant impact on the history of Central Europe. On this 5-hour tour, you’ll visit Terezín and learn the history of the town itself – from the 18th century when it was built as a strategic fortress, through World War II when the Nazis turned it into a Jewish ghetto, until finally today when it stands as a monument and a reminder of the atrocities that were committed against the Jewish people. You’ll get to visit the fortress itself, as well as the Ghetto Museum, which was originally the town school. This tour will help you understand the full reach of the Nazi occupation of Europe and will help you realize its impact on the continent of Europe as a whole. Admission to this tour includes pick-up and drop-off service from your Prague accommodation, transportation to and from Terezín, entrance to the site and an expert tour guide. 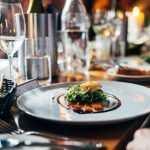 Just be aware that lunch and gratuities are not included! This full-day trip to Kutna Hora is one that you will not forget. Kutna Hora draws visitors from all over the world who come to see the Sedlec Ossuary, the infamous bone church. However, that’s not all Kutna Hora is famous for. 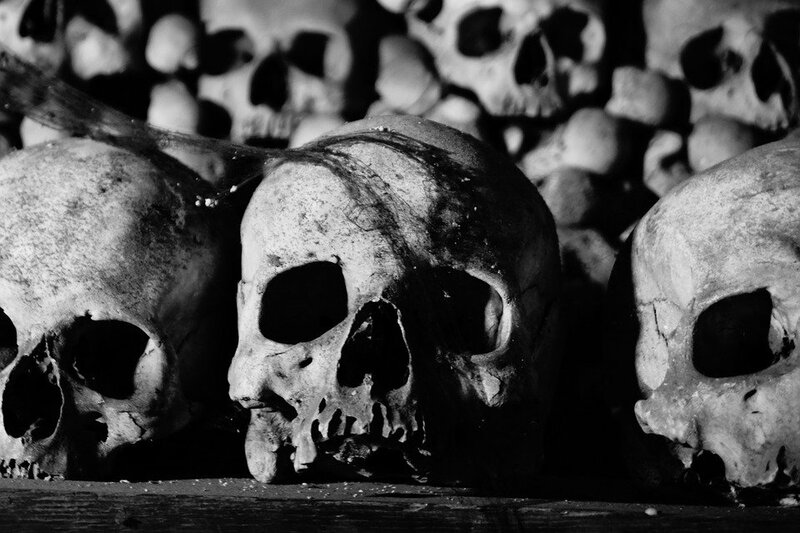 On this tour, you’ll of course get to see the Sedlec Ossuary, the chapel decorated with over 40,000 human bones. You’ll also be able to explore other important historical buildings like St. Barbara’s Church, the Hradek Castle, the Italian Court, Bohemia’s oldest Cistercian Monastery, and much more. Although Kutna Hora is smaller than Prague, its history packs a huge punch. Learn about the role it played in the 15th century in the Hussite Wars and see for yourself why several kings of Bohemia chose to reside there as opposed to Prague. This rich town was also the site of silver mining for what was once the hard currency of Central Europe. This will be a lot of history and walking packed into a 7-8 hour trip, so make sure to show up well-rested and in your walking shoes! Admission into this tour also includes the entrance fees to the Sedlec Ossuary and St. Barbara’s Church. Another easy day trip from Prague, this 10-hour tour is well worth your while if you want to discover the beauty and history of the countryside towns of southern Bohemia. 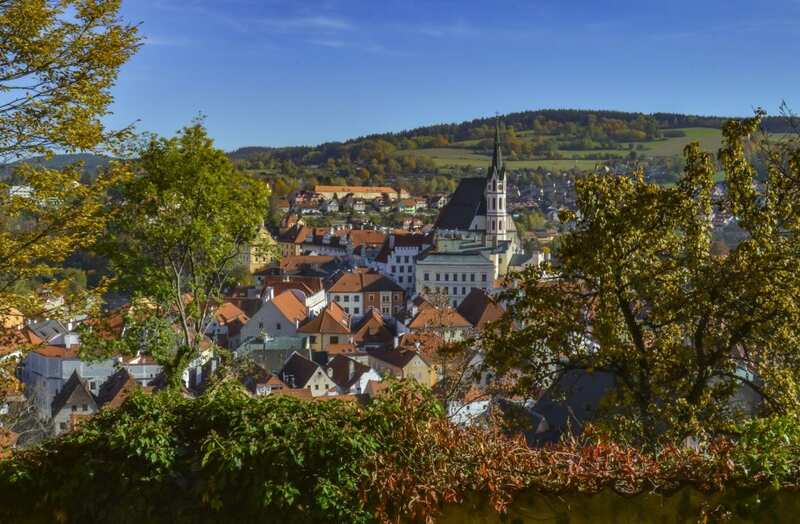 The first stop on this tour is the picturesque town of Český Krumlov, a UNESCO World Heritage site that no visitor to the Czech Republic should pass up. Český Krumlov, tucked into the curve of the Vltava River, boasts over 300 historic buildings along with a beautiful castle dominating the center along with the church of St. Vitus. On this leg of the tour, you’ll visit the historic city center and take a tour of the castle before having lunch (included in the price of the tour!) in a historic restaurant and brewery. Afterwards, you’ll continue on to the quaint little town of České Budějovice, where you’ll explore the city center and spend some time admiring the Renaissance and Baroque buildings that this region is so famous for. You’ll also learn about the Black Tower, which dominates the center and played an important role in the town’s history. After a full day exploring and learning about the history of southern Bohemia, you’ll return to Prague on the tour’s private transportation. Admission into this tour includes lunch, transportation, and admission into the Krumlov Castle. 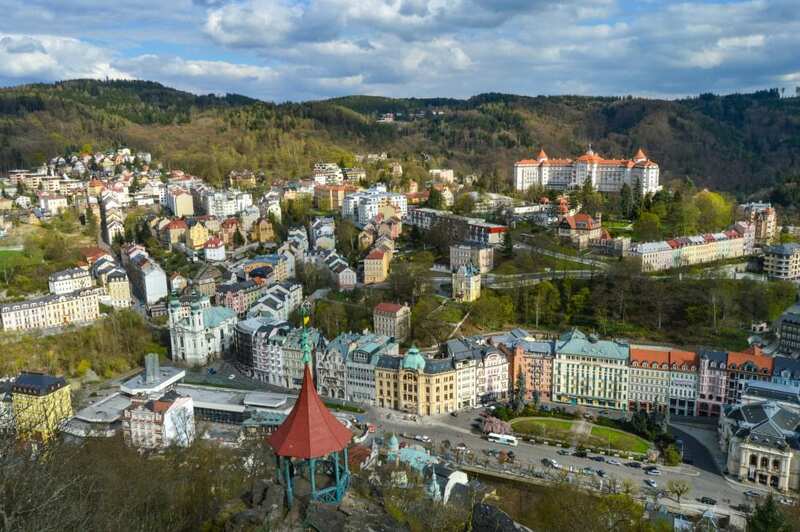 This 9.5-hour tour will visit another of the most popular destinations in the Czech Republic, the 14th-century historic spa town of Karlovy Vary. Explore the town center before going to Vřídlo to see one of the 12 natural mineral springs in town. This particular hot spring will spout water up to 12 meters high because of the pressure! Taste the natural mineral water before heading to the Moser Glass Factory, which has been in operation for over 160 years now. Marvel at the variety of crystal glass products and designs before lunch (maybe even buy some gifts or souvenirs! ), and then head back to Prague on the tour’s private transportation. Admission into this tour includes transportation, Prague accommodation hotel pick-up and drop-off, lunch, and entry fees into the sites in Karlovy Vary. For those of you looking to get outside and experience the nature of Bohemia, this tour is perfect! This small group tour with a maximum of 8 people books up fast, so be sure to plan in advance. On this 1-day tour, you’ll visit the Bohemian Switzerland National Park, located a few hours north of Prague in the Czech Republic (not Switzerland). You’ll see the Pravcicka Gate, the largest sandstone rock gate in Europe, walk across Bastei Bridge, hike through the exquisite nature of the park, and even visit some of the filming locations from the Chronicles of Narnia movie. During the hike, you’ll also enjoy views of Germany and Edmund’s Gorge, the canyon of the Kamenice River. This is another tour that you won’t want to forget your camera! 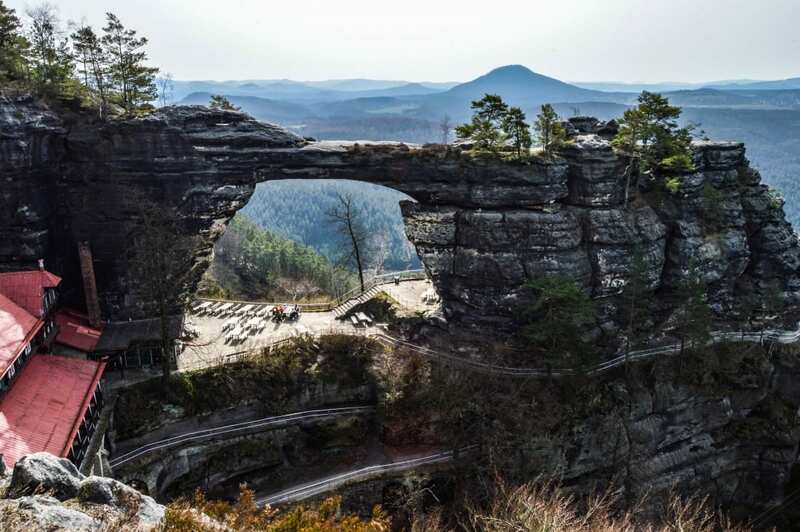 Bohemian Switzerland is straight out of a fairytale and you’ll want to make the best out of your visit there, and what better way to do that than with a local guide who will also bring you to taste some of the local food and beer for lunch? Admission to the tour includes your expert guide, entrance into the park, a bottle of water, and transportation. Note: the price of lunch and beer is not included! This 4-hour walking tour is just a hop, skip and a jump from Prague. Enjoy a guided tour of the 14th-century Karlstejn Castle, one of the most-visited Gothic castles, and learn the history of how it was established by Emperor Charles IV. You’ll also get to explore other landmarks in town like the Great Tower atop the hill along with the castle, before heading down to the Marian Tower, the Imperial Palace, the Well Tower and Burgrave’s Palace. 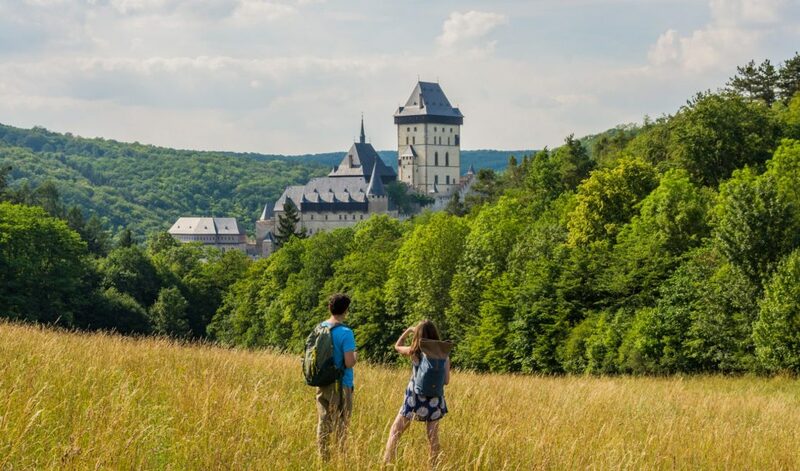 This tour includes transportation, an expert guide, and entrance fees into the Karlstejn Castle. This 11-hour tour will take you across the border into Dresden, Germany. For those of you who don’t know, Dresden was almost completely wiped out by the Allies during the bombing campaigns of World War II, so this German city is rich in cultural history and beautifully reconstructed. Learn the history of the city, from the times when it was just a fishing village, through the 18th century when it became an artistic capital of Saxony, through wartime and up to today. 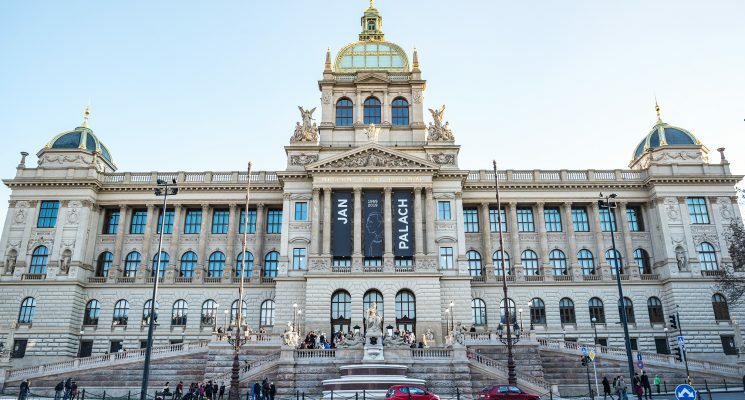 On this tour, you’ll visit several historical monuments like the rebuilt Zwinger Museum (also known as the “German Louvre”), the Albertinum gallery, the churches of Hofkirche and Frauenkirche, the Semperoper opera house, and more. Your guide will also give you plenty of free time go out on your own to shop and explore. After all, a lot of Czech people head across the border into Dresden to do their shopping! Dresden has some of the richest and most interesting history in Central Europe, so you won’t want to miss this tour and discover it for yourself. 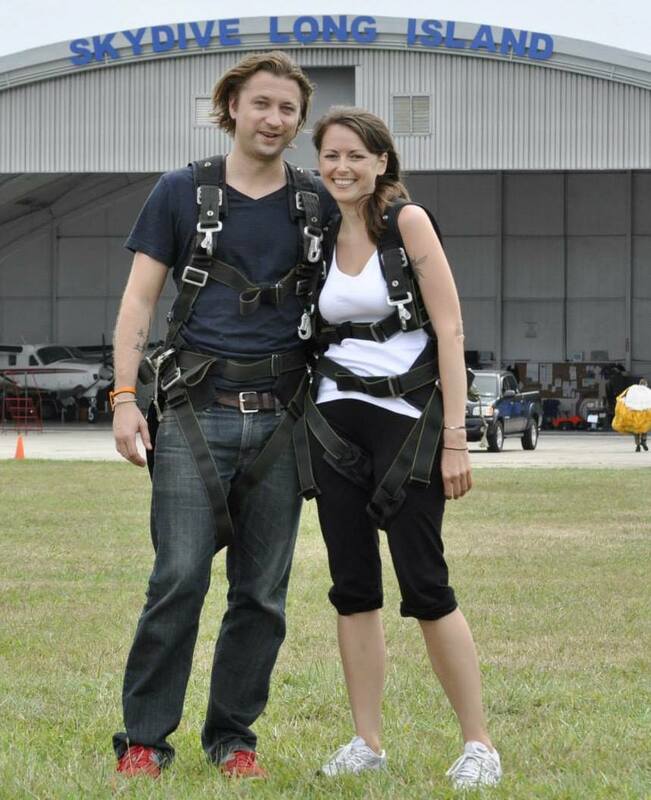 Admission into this tour includes transportation along with accommodation pick-up and drop-off and your expert guide. Entrance fees to the museums and lunch are not included. As you can see, there are plenty of Prague tours to take advantage of – whether you’re looking to stay in the city or explore the countryside on a day trip. All of these sites and all of this history can be overwhelming to digest on your own, so it’s good to let a tour guide help out once in a while so you can be sure you’re learning as much as you possibly can during your trip to the Czech Republic. With expert guides and a plethora of options, you’ll be able to find a tour on this list that fits your needs. So don’t waste time – get out there and start exploring! We hope we’ve helped you guys find the right Prague tour for you. If you choose one of these great packaged experiences please let us know in the comments below, on Twitter, or with an email. We love hearing back from you all! As always, happy travels guys, and we’ll see you on the road (or in Prague)! Disclaimer – We have included a few handy little affiliate links in case any of our readers want to book tours. We receive a small commission for any sales made, without any additional cost to you, our dear reader.